Finals week is nearly complete and the well-deserved semester break is almost here. Mentors and mentees are reminded of these practical steps to help ensure a strong and productive mentor in the next 30 days. 1. It’s all about the goals. Don’t lose sight of the goals you established. Refer to your goals document regularly to stay on track and adjust, if necessary. What’s been accomplished? Has a goal deadline passed and the goal wasn’t met? It’s also okay to add a goal or two, if you wish. 2. Communication. Communication. Communication. Ongoing communication, including scheduling meetings well in advance, have been a catalyst to a flourishing partnership. Everyone’s busy, so scheduling planned times with a set agenda and discussing key takeaways (such as completing items with a deadline) concluding a discussion are vital. 4. Mentors- utilize your network to help your mentee. Mentors, it's not fair (or realistic) to believe you have every answer for your mentee. Think about your own professional network and who might be able to lend a hand. Encouraging your mentee to network with fellow alumni in the mentor directory (see below) can help, too. 5. It’s a marathon, not a sprint. While you may want to complete your goals immediately, discuss if there are other topics or themes to complement them. For example, if enhancing a resume is a goal, think about adding mock interviews (in-person, phone, Skype) or reviewing a LinkedIn profile to strengthen professional development. See the MUAA Mentor Program Resource Guide for helpful tips, too. 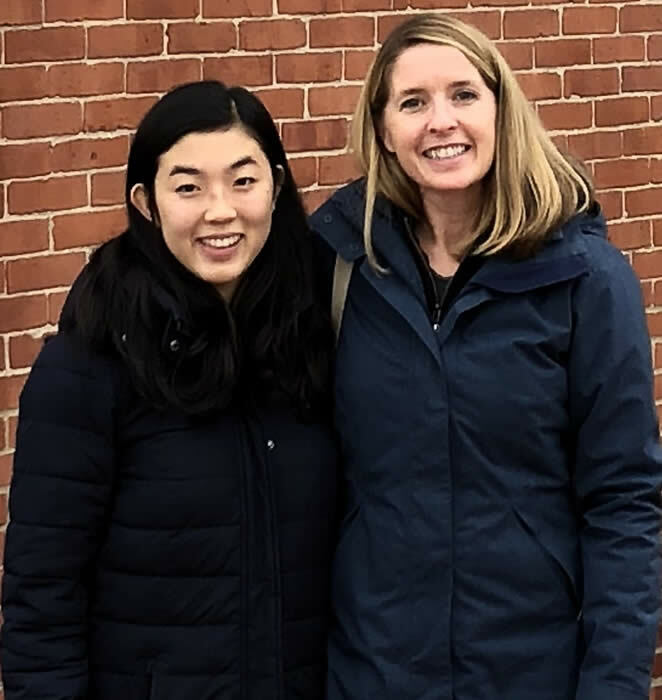 Engineering mentee Isabelle Yoshizaki’s job shadow experience included a “first” she likely won’t forget. Her mentor, Gretchen Borden, Eng ’03, Grad ’07 and engineering manager at Harley-Davidson Motor Company in Milwaukee, recently hosted Isabelle at the Juneau campus. She provided Isabelle with her day-in-the-life responsibilities, including meeting with five of Gretchen’s fellow mechanical engineers specializing in a variety of applications. 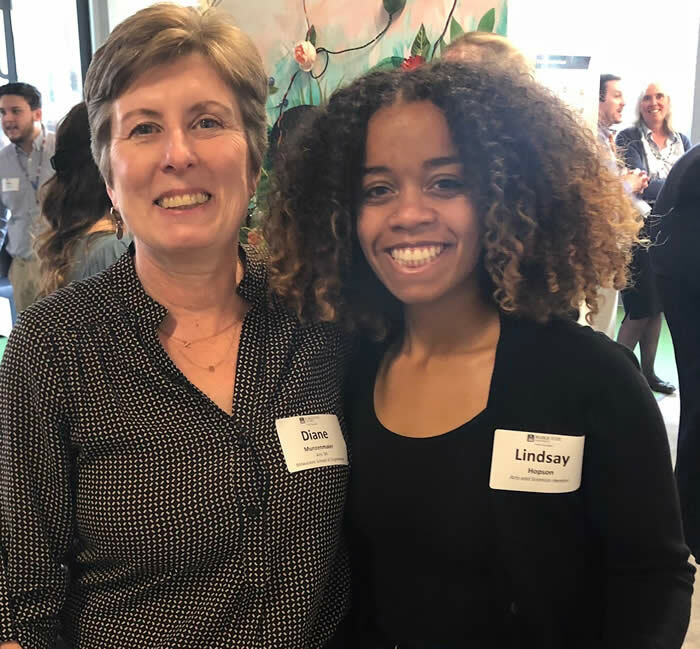 “Our time together gave Isabelle an opportunity to see the many different ways that mechanical engineering is applied to design and development,” Gretchen says. Isabelle concurs. “I really enjoyed visiting Gretchen at Harley-Davidson and meeting the engineers. I learned more about mechanical engineering, how it can be applied in industry and the options available with my major,” she says. And that “first” for Isabelle? 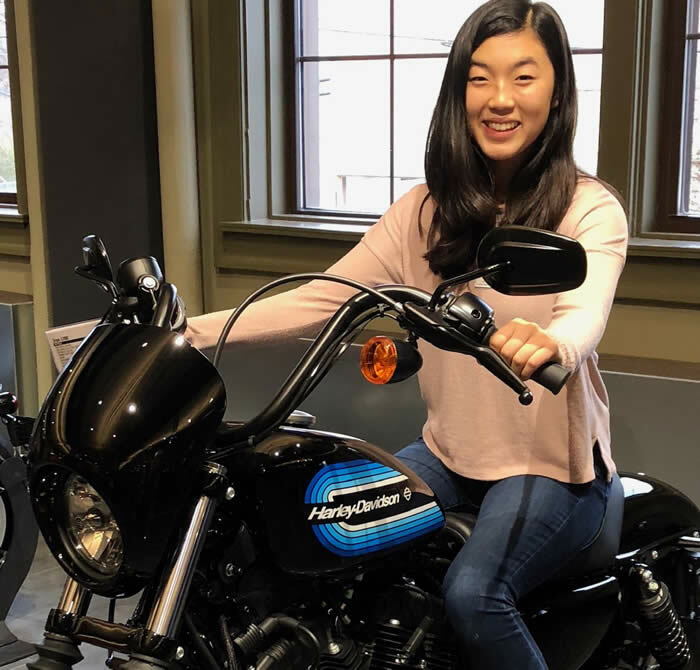 “We were able to get Isabelle on a bike to ride for the first time that Harley-Davidson calls “jump start” as well as some others,” Gretchen says. Ride on, Isabelle and Gretchen. Whether you're going home for break, work in the area or interested in making a special trip to the Second City, join fellow mentors and mentees from 5:30 p.m. - 7 p.m. on Thursday, Jan. 10, to network, learn from each other and celebrate Marquette. The reception, which will be held at Kivvit, 222 W. Merchandise Mart Plaza in Chicago, is made possible by the generosity of co-hosts and mentors Maura Farrell, Arts ’92 and managing partner at Kivvit, and Tim Feltes Bus Ad ’75 and principal at Feltes Holdings Inc. Details will be coming soon. New this year, the directory will be available online and include more than 120 comprehensive mentor bios. Learn about best practices from other participants, expand your professional network, the career journey of other mentors, the job market in a particular city and more. The online directory will be emailed to all mentors and mentees the week of Dec. 17. In addition, mentees will receive the new MUAA Mentor Program Mentee Alumni Directory in the coming weeks. This online guide highlights previous program mentees now working professionally or serving an internship or co-op who may be able to help current mentees. Special thanks to those alumni mentors and mentee alumni who have generously agreed to be included in the directories and serve as another resource to fellow participants. Mentees with mentors who reside outside of Milwaukee and are interested in job shadowing them will be invited to apply for travel stipend consideration. Details will be provided in mid-December. This new initiative is made possible thanks to generous funding by MUAA Mentor Program mentors. To make a gift in support of the MUAA Mentor Program and initiatives such as the travel stipend program, networking and special events, and resources to enhance the mentor and mentee experience are encouraged to contact Dan DeWeerdt. 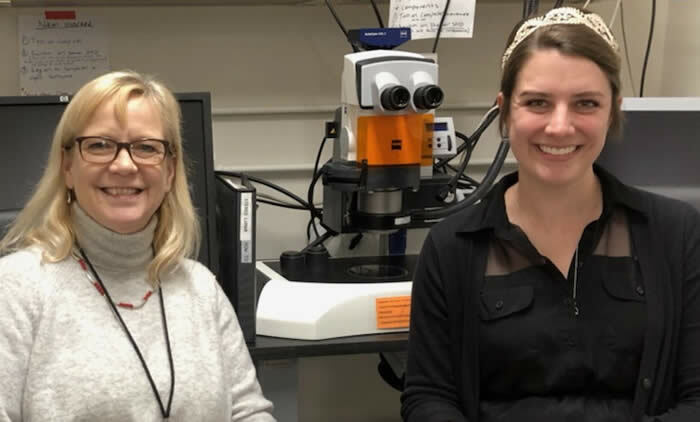 Graduate School mentee Rachel Beattie recently paid a visit to mentor Dr. Debra Newman, Arts ’81 and Grad ’89, senior investigator for the Blood Research Institute at the BloodCenter of Wisconsin in Milwaukee. In her second year of service in the MUAA Mentor Program, Dr. Newman also finds it to be a beneficial experience to support Rachelle. 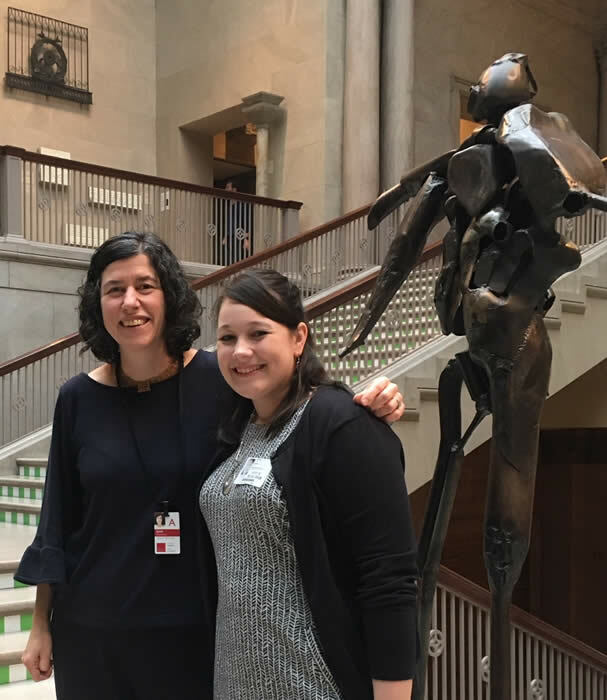 “I value serving as an additional source of advice and guidance for Rachelle, such as developing and strengthening the skill set she needs to manage external time pressures and make enough time available for pursuit of her own research interests,” she says. 1. Why do you serve in the MUAA Mentor Program? 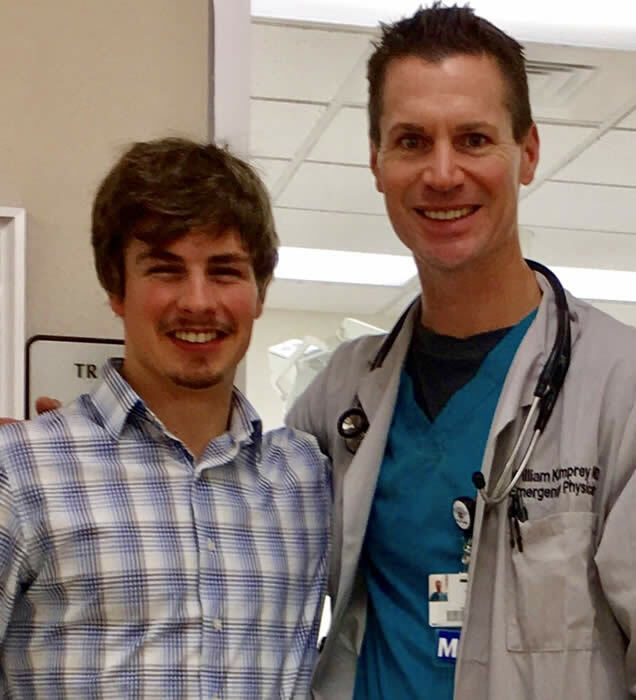 I enjoy interacting with Marquette students; it keeps me connected to Marquette in a very meaningful way. 2. What suggestions do you have for mentees? And mentors? Mentees do best when they are prepared and have thought about the established goals. Similarly, mentors can have well-directed conversations when the goals remain at the center of the conversation. 3. You’ve worked with several mentees. What’s one thing you have learned from them? Mentees, like most mentors, are busy people. Mentors need to appreciate that our mentees have a lot going on in their lives. 4. Is there a class you wish you would’ve taken when you were at Marquette? If so, what was it? I wish I would have taken a course from George Reedy, who served as President Lyndon Johnson's press secretary. It is a MAJOR regret, which is why I advise all of my mentees to pursue these sorts of interests. 5. What are two things you think a Marquette student should do before they graduate? Make sure you that leave Marquette with no regrets, whether it is to fully experience Marquette, the campus, Milwaukee or professors in fields that intrigue you. 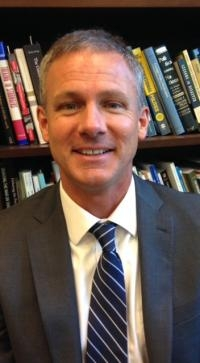 Ryan Hendrickson, Arts '91, is dean, vice provost and professor at Eastern Illinois University in Charleston, Ill. He’s serving in the MUAA Mentor Program for the fourth year. Liam Cureton, Business mentee, will be serving as a secondary social studies teacher for Teach for America in New Orleans in spring 2019. (Mentor Nick Brescia, Arts ’06, privacy attorney at Walgreens in Deerfield, Ill.). Share your latest news such as a new job, promotion, received an award or service with fellow program participants In the News. Email a one-sentence description with a headshot to daniel.deweerdt@marquette.edu. It seems like weeks since we have seen the sun on the Marquette campus. But last night was the lighting of the Christmas tree outside the Alumni Memorial Union. A few sightings of snow remind us that winter is here. I long await the arrival of December 21 because the days begin to get longer. Just four days before Christmas is the hope of new life and the promise of new light. The winter solstice is celebrated by many people because of the happy coincidence of the celebration of the birth of Jesus with the significant change of the seasons. Just as the light of the sun begins once more to grow stronger, so too our Advent prayers strengthen as we greet the new light of Christ at his birth and ask for that light to increase in our lives. This is the Season of Light, the Season of Hope. Whether from the glow of the Advent wreath candles, the lights of the Christmas tree, the flame of the Menorah, or perhaps simply the blue sky on a rare day of sunshine in a Milwaukee December, there is light! All of these can remind us of the presence of God and the promise of hope that is fulfilled in this holy season. Remember that behind the lights is the radiance that is our God. See the hope in the faces of the people around you. See it in the faces of your family and friends and coworkers. See it in your own face when you look in the mirror. Doing this will allow each of us to welcome that little baby on Christmas, the way that Mary and Joseph so willingly welcomed him into their lives. And know that God so lovingly welcomes us into His. May the peace of God rule in your dreams. May your joys be fulfilled and your prayers answered. May you have healing, health, happiness and prosperity in the New Year. Have a graced Advent and a Merry Christmas from all of us at Marquette University.